The Beacon is an optimally structured, custom foot orthotic based upon scans of the feet and a thermal plastic mold. Expertly crafted by our pedorthists, the Beacon is a combination of highly advanced computer aided design and customized hands-on refinements according to specific, precise customer requirements. It is used for substantially improved stamina, stability, pain and pressure relief. This custom foot orthotic handles hindfoot and midfoot alignment, and can address the most challenging foot conditions. The skill of our pedorthists in combination with state-of-the art design technology has produced an orthotic for whom athletes and clients report highly satisfying results. * Varying densities available for a natural, comfortable feel. If you're not pleased, let us adjust the orthotic until you are satisfied. Q. Is it for Me? A. Nearly anyone can benefit from well-made custom foot orthotics. Boston Pedorthic's reputation making, advanced custom orthotic, the Beacon, is the gold standard when you require the very best. If you have not tried custom orthotics before, you may consider our simpler and more moderately priced, Berkeley Custom Foot Orthotic. Achilles Tendonitis, ACL tears, Ankle pain, Arch pain, Back pain, Blisters, Calluses, Excessive muscular recruitment, Foot pain, Iliotibial band (IT) syndrome, Joint pain, Knee pain, Plantar fasciitis, Recurrent sprains, Shin splints, Stress fractures, Tissue stress, and many other disruptive conditions. Also, Diabetes and complications, Neuropathy, Peripheral Vascular Disease, Deformities of the foot, Neuromas and other conditions. If you have any questions, consult your physician. Q. Can I use it for Sports? Archery, Baseball, Badminton, Basketball, Boxing, Cheerleading, Cycling, Dancing, Fencing, Football, Golf, Gym Workouts, Hiking, Hockey, Lacrosse, Military training, Racquet sports, Running, Skating, Skiing, Soccer, Squash, Tennis, Track & Field, Ultimate Frisbee, Weight training and more. A. You can expect a detailed, individualized approach and a substantial improvement over other custom foot orthotics. But be prepared for an initial adjustment period as your feet get adjusted to more structure in your shoes. * Dispensing appointment, 1/2 hour for micro adjustments. * 3 week turnaround. Rush available. Q.Will they fit in all my shoes? A. Probably not. It will replace the innersole of one or more shoes of similar dimensions. We recommend starting with a full depth shoe such as most running and walking shoes. Many customers use their first pair of orthotics for a few months to experience relief from the symptoms that brought them in before calling to order subsequent (discounted) pairs of orthotics. A second pairs of orthotics is useful in thin-profile, fashion shoes. 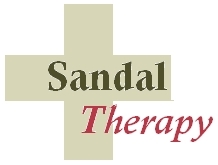 For summer sandals, Boston Pedorthic has a program to enjoy your custom foot orthotics economically across a range of sandals to suit summer attire requirements. A. Yes. They are made of ethyl vinyl acetate (EVA), a non-toxic foam used for mid-soling in athletic shoes. Compression rate correlates with weight, activity level and torque pressures. A. Yes. 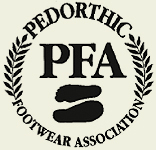 All Boston Pedorthic orthotics are fully adjustable across all planes of motion.